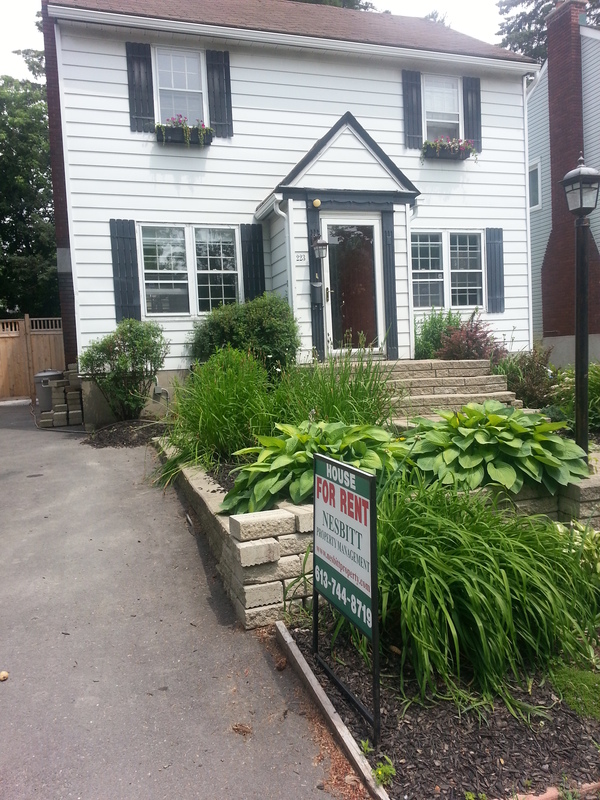 223 Goulbourn Ave. – Sandy Hill | Nesbitt Property Management Inc.
Lovely 3 bedroom 2 full bathroom home in great Sandy Hill neighbourhood. This house has a nice wood burning fireplace in the living room, a formal dining room and a family room in the basement. Hardwood floors throughout and a lovely enclosed yard in the back of the home along with a garden shed. Close to many restaurants and shops.